As a quick follow up to this week’s Nike Air Max 1 “Dark Obsidian Cobalt,” we share a new colorway of the Tinker Hatfield-designed model. This edition returns to the silhouette’s normal outsole with an upper that sees a mix of mesh, leather and suede. 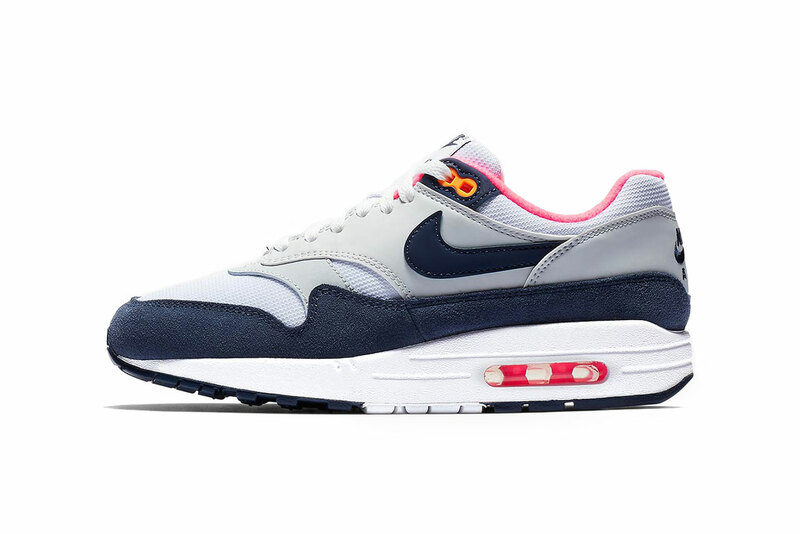 “Midnight Navy” is added to the tongue, Swoosh and mudguard with its underlay treated in “Pure Platinum.” Nike spices things up with subtle “Hot Pink” detailing added to the inner lining and heel’s visible Air Max unit. The Nike Air Max 1 White/Midnight Navy-Pure Platinum is expected to drop in the coming weeks at select Nike Sportswear stockists in addition to Nike SNKRS. Stay tuned for release developments and take a look at the newest Nike M2K Tekno colorways. Nike's Latest Air Max 95 Gets Covered in "Amarillo"
A vivid abstract piece inspired by cityscapes. If you’re a producer, this is the must-have product.